SAN JOSE: Three conservative candidates lead the race to win Costa Rica’s presidential election next month, but none of them is likely to garner enough votes to avoid a second-round runoff, according to a poll published on Friday. Costa Ricans will vote for their next president and 57 lawmakers on Feb 4, but many voters in the coffee-exporting Central American country of roughly 5 million people have yet to make up their mind. Centrist Antonio Alvarez, of the traditionally powerful National Liberation Party, led the poll, conducted by Opol Consultores, with 22 per cent of decided respondents saying they would vote for him. Alvarez was trailed by conservative lawyer Juan Diego Castro on 20.7 per cent, according to the survey. 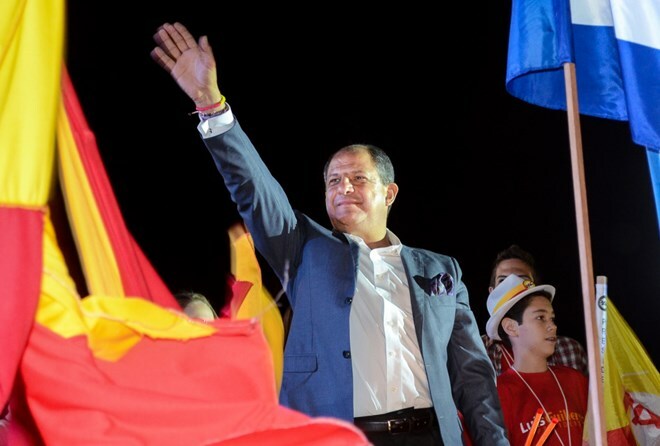 Fabricio Alvarado, an evangelical candidate of the National Restoration Party, was in third place, with 18.4 per cent, the poll showed. The 2,800 person survey was conducted between Jan. 15-18, and had a margin of error of 1.9 per cent, Opol said. Nonetheless, as nearly 45 per cent of those polled said they were undecided or likely to abstain, hope remains for 10 other presidential hopefuls. Candidates need to get 40 per cent of the vote to avoid the runoff. Without that, the two highest-voted candidates would head to a second round, due on the first Sunday of April. Encumbent centre-left President Luis Guillermo Solis cannot seek immediate re-election under Costa Rican law.